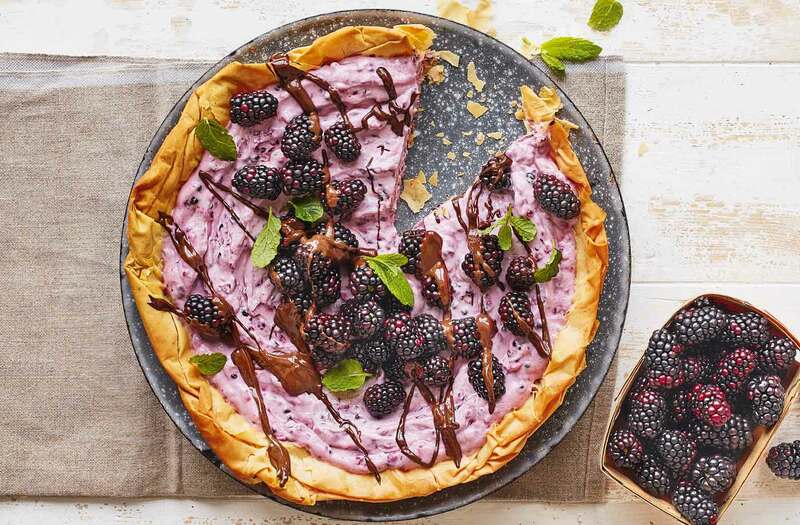 Make the most of blackberry season with a pretty autumn tart, topped with deliciously sharp blackberries, fresh mint and a drizzle of dark chocolate. With a crisp, no-fuss filo base and a creamy quark filling, this vibrant dessert is a refreshingly light after dinner treat for the whole family to enjoy. Prick the filo base with a fork, then bake on the middle shelf for 20 mins until crisp and just golden. Leave to cool. Gently remove from the tin and transfer to a serving plate.